Today officially marks one year of blogging! It’s been a beautiful journey and I have grown in so many ways – not only in numbers, but also in experience. Although I celebrated my one year Instagram-iversary last month, I didn’t launch my blog until a month later. That’s why I celebrate the launch of my blog today! To celebrate my one year blog-iversary, I’ve compiled a list of the 5 most common questions I receive about blogging. 1. What made you want to become a fashion blogger? My style has always been something that people have admired. I’ve often been asked where I purchased something I’m wearing, and I’ve loved telling people where it could be found. Sharing style tips with friends has always been part of my daily life, but only after realizing how passionate I was about doing this, I decided to take it a step further and began sharing them with my Insta-friends. As an expressive person and someone who has always loved to write, blogging fit my need for a creative outlet. 2. What do you like to write about? It’s true that I love sharing my personal style for fashion inspiration as well as style tips with women, but I want to take my writing beyond that and share something that is a bigger part of my heart. I love to offer words of encouragement and inspirational posts, because I believe that beyond what a woman looks on the outside, it’s her inner beauty that will shine through. I am passionate about helping women to face the world with confidence and smiles despite the struggles of life. It’s very hard to narrow my style down to one word. I love to style outfits that are timeless, classy, girly, sophisticated, and elegant. I also love to combine these with edgy vibes to bring out my playful side. 4. What do you love about blogging? Blogging meets many of my personal fulfillment needs. For starters, it encourages my passion for fashion. It awakens my creative side as I get to come up with new post ideas and create fun content. It meets my desire to build genuine relationships as I get to network both locally and through social media. It meets my #GIRLBOSS dreams as I get to manage the business side of things and work for myself. It satisfies the born writer in me as I get to share my heart with those interested in similar topics. Finally, blogging gives me a reason to elevate my natural drive and motivation by always creating new goals and looking for ways to challenge myself. With the many challenges encountered and diverse talents required to become a great blogger, I am very fulfilled and love what I do! 5. What drives you to keep going? The opportunities I have to inspire women like you is by far my favorite thing about blogging. The feedback I get from women who are encouraged by my posts means so much to me. The emails that say “Thank you for doing what you do” fill my heart with so much joy. I am moved by the simple thought that someone would take the time to appreciate what I do and share with me what an impact I’ve made on their life. This is something I am incredibly appreciative of! I would not be where I am without my blogging friends and people I’ve met along the way who motivate me to keep pursuing what I love. Thank YOU for being the driving force that keeps me going! What other questions would you like to see answered about my blog or about me? I’d love to talk about what’s on your minds in future posts, so be sure to say hello and drop a little comment! Loved this post? Subscribe to my blog via e-mail here or through Bloglovin’ so you’ll never miss style tips and inspiration again! Thank you dear! I am quite excited to have hit such an amazing milestone! Your support means everything to me! Happy Anniversary! You’re blog is so fun! I wish you many more successful years. Thanks, Anna! Appreciate the love! Keep smiling! 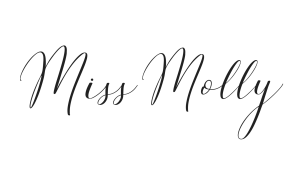 I love your blog, Molly!! You are an inspiration to all. Congrats on your blogversary! That is so exciting! It’s amazing how much you can push and accomplish in just one year. I also loved getting to know you a little better through this post, thanks for sharing! Thanks so much! It certainly is an exciting milestone and I’m glad you got to know me a little better. Hopefully we will get to learn more about each other as we both continue to blog and connect over the years. 🙂 Keep smiling! Yay for your 1-year mark! I’ve told you before, but I love your blog:) Your smile is so genuine and your joie-de-vivre comes through in everything you write! Your comment made my day! Thank you for bringing a smile at my face! You are seriously SO sweet! Thanks doll! Thanks Amanda. 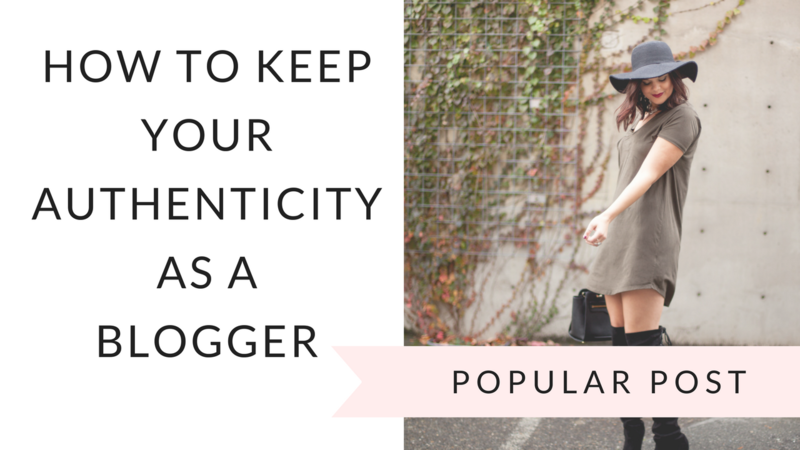 I love blogging so much and it is more than just a hobby to me! SO fun! Congrats on hitting one year!! What an amazing year it has been! Thank you Maggie! It really has been an amazing year and I can’t wait to see what the future holds for my blog! Happy One Year, Molly!! 🙂 Love your blog! Thank you Summer! So glad to have connected with you through this journey! Congrats on your one year! These pictures are really beautiful! Thanks Meagan! Your support means so much to me! Appreciate the compliments! I love that you relate the same way Angie. You too are an inspiration! It is great being creative and businessy all at the same time! I love combining both! Thanks! Happy 1 year anniversary! Cheers to many more anniversaries! Thank you! It’s been a great first year and I look forward to many more! Happy Anniv Mollie..keep smiling …encouraging words are what so many need! Thank you Valerie! That’s my plan! So glad to share it with you! Thank you so much Katrina! I am looking forward to connecting with you more over the years to come! Congratulations! Love the idea of the questions you get asked a lot. Thanks Kylie! I’m so excited for what the next year will bring! HAPPY ANNIVERSARY!! Always gorgeous and a positive inspiration to all! Thank you for all of your support Sarah! Happy anniversary! I’m so glad to be in this blogging world with you, my friend! Cheers to many more posts and exciting adventures! Thanks Portia! And to think I never would have met you along the way if it weren’t for my blog. So thankful for you! 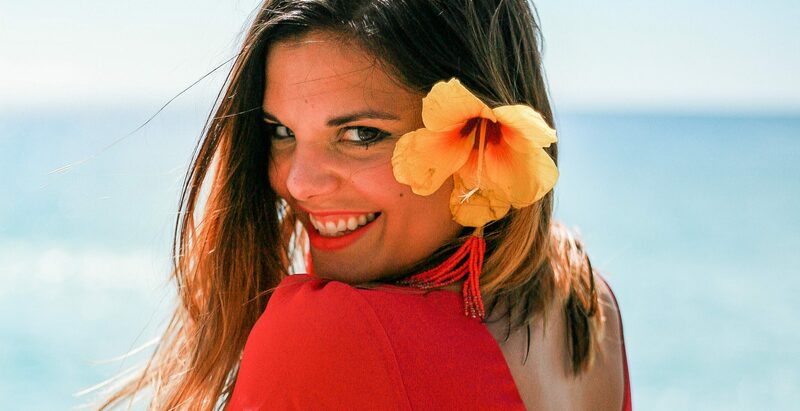 Happy blogiversary Molly! 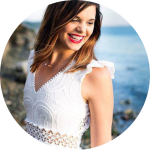 I only found your blog recently through the Seattle Bloggers Unite group, but I have quickly fallen in love with your style. Cheers to another great year! Wow thank you so much girl! I can’t wait to get to know you better and hopefully meet you in person some day! Happy first blogiversary! To many more! Thank you for celebrating with me Tamara! Thanks for your support Jenn! So glad to have connected with you through our blogs! LOVE this post! Super inspiring and a fab idea. I think I’m going to write one myself! Hi Lauren! Did you write a similar post yet? If so I’d love to read and learn more about you!